It’s a ideal tool for network cabling construction and maintenance. PK-3456E SPY Splitpair Tester with Net ID & Net Tone. PK-3456EP NetScout Splitpair Tester with Net ID & Net Tone and PoE detector. PK-3456EK PK-3456E with Net Probe(PR-06P) KIT. Easily & accurately tests twisted pair cables for proper continuity and correct signal pair. A split pair can cause a crosstalk problem and suppress the communication speed. 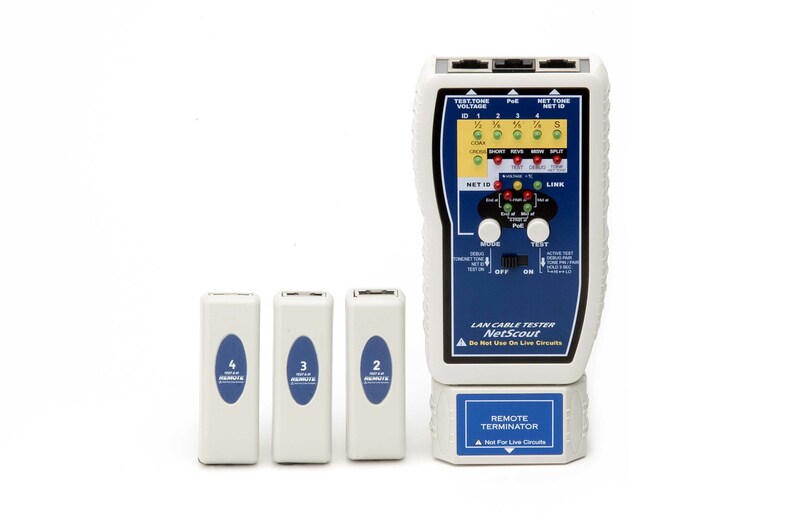 The SpySplitpair also includes a Full test, One-ended testing, Debug mode for checking the specific pair fault, and a Tone mode for tracing cable as well as a Voltage warning indicator to protect the tester. Hub blink/Net Tone mode (PK-3456E only), display of the Ethernet port to which the test cable is connected, and identify unknown RJ45 outlet for active Ethernet. The SpySplitpair is designed for detecting the split pair to qualify data twisted pair (UTP / STP) cables. The unit includes Full Test, one-ended test for split pair, shorts and shielding, Debug, and Tone modes as well as Voltage warning and Low battery indicators. 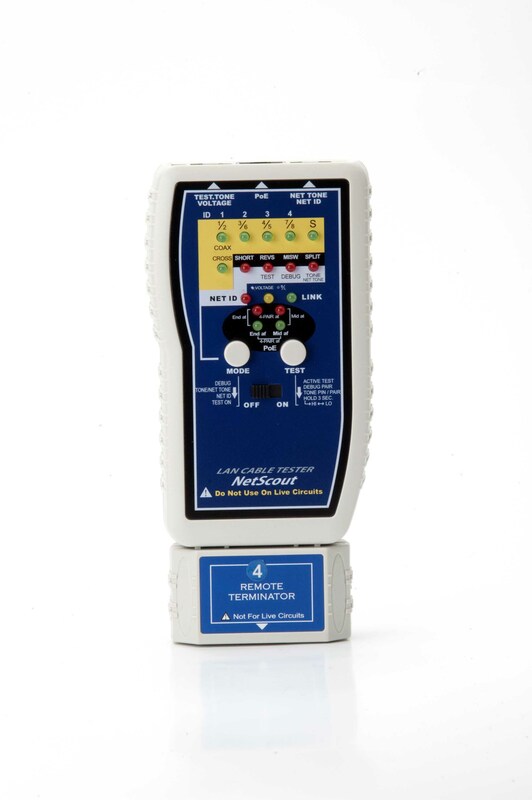 Features over-voltage protection up to 100VDC/70VAC, voltage between any two connector pins without damage. The Test mode start with the voltage check test, then automatically scan each twisted pair. The LEDs for each pair will either be ON, OFF or Flashing, indicates a good pair, an open or a bad pair. Debug mode to diagnose a specific pair of cable. Tone mode allows you to send a Hi or Lo tone on all pin simultaneously, pair or on an individual pin to locate a wire break or cable. Optional 3 separate Remote ID allows you to view test results for 4 cables at a time. For testing coaxial cable with F connector you need to use RJ45 to F adapters. Continuity test can tell the user if the connection are correct, but cannot tell the user about the cross talk (signal leaking between wires in a cable) effects produced by twisted pairing. This error occurs when one wire from each of two different pairs gets swapped on both ends of the cable. The cable will pass a continuity test, but will have serious cross-talk problem. One-end testing can be done immediately after termination of one end of the cable; this will help to determine which end have split pairs and shorts error, attach a remote after pre-test and you are ready for full test when the other end is terminated. 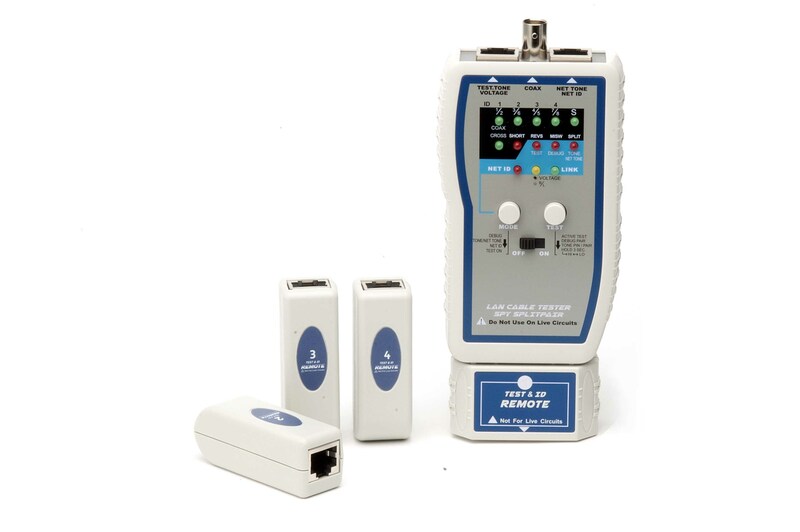 PK-3456E includs "Net ID/NetTone" mode which identifies active Hub/Switch port and verifies if there is active Ethernet service on a particular port or jack, link LED for determining whether the drop is active network for fast results. This mode also transmits powerful tone for tracing & locating active network cables on a switch or HUB and live phone line systems simultaneously, more effectively at switch, patch panels, terminations blocks or hidden within bundles. PK-3456EP: Main unit includes PoE detectors. It tests to see if either PoE 802.3af or PoE+ 802.3at is present and displays model of PoE either end-span A or mid-span B or ultra over 4 pairs is found in your network. Reliably qualify twisted pair wiring with split pair detection. Pre-test,one-ended testing for detecting split pairs, shorts and shielding. Full testing detects opens, shorts, reversals, miswires and split pairs. Displays cross over (uplink) and shield for passing cable. The test mode start with the voltage check to protect the tester. Debug mode for diagnosis of individual pair fault. Generates 2 selectable tones on selected pin, pair or on all pairs. Tone mode for use with probe to trace and locate cables. Auto-Off in test mode will low power consumption. Optional additional Remote ID allows you test up 4 cables in one time. Attach-together case for easy storage and convenient patch cable testing. 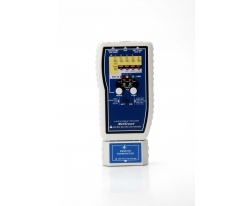 With voltage detection and warning functions to protect tester. PK-3456E includes " Net ID/NetTone" mode. Blinks a link indicator to find a Hub/Switch or Router port to confirm connected active configuration. Quickly locate and identify unknown RJ45 outlet/port for active Ethernet. Transmits powerful tone for tracing active Net cables on switch or HUB and live phone line. Test to see if either 802.3af (PoE) or 802.3at (PoE+) is present. Displays type of PoE either end-span A or mid-span B or ultra over 4 pairs is found. Standby: life of battery 1.5 - 2 years. Active: 50 - 100 hours depends.